With the promise of providing cheap and environmentally friendly mode of transportation, bike sharing services have been growing like weeds all over the world. But do they really help consumers save money? 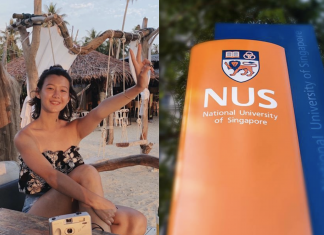 Just like how we compare credit cards to bring the best solution to consumers, our team at ValuePenguin crunched numbers to compare different modes of transportation in Singapore to assess this issue. According to the Apple App Store’s download rankings, ofo is the leading bike sharing app in Singapore by a big margin. For example, ofo’s average download ranking in the last 30 days was 1.6, compared to Mobike’s 7.3 and obIKE’S 61.6. In terms of pricing, you can expect to spend around S$0.5 to S$1.0 per ride. For example, ofo charges $1.0 per hour and Mobike charges S$0.5 per 30 minutes, which should provide enough time to cover most distances that consumers would want to travel on a bike. At S$0.5 per 30 minutes, bike sharing services actually can help people save money when travelling short distances (less than 5km) that are bikeable. For example, a MRT ride from Orchard to Raffles Place would cost S$0.87 to cover 3.8km of distance, according to MyTransport’s fare calculator. A bike ride for the same trip should take about 15 to 20 minutes, helping you save a minimum of S$0.37. If one were to replace his daily MRT rides to and from work with a bike ride to save S$0.37 per day, he would be able to save S$185 per year (assuming he works 250 days per year). For trips that take 30 minutes or less on bike, savings can increase significantly to about S$330 per year. However, longer commutes that take 30 minutes to an hour on a bike would experience lower savings, since the bike sharing service would cost S$1.00 instead of S$0.50. Advantage of bike sharing services become even more apparent when you consider trips that aren’t easy to make via public transportations. Most MRT routes are designed to go towards central, and therefore don’t lend themselves well to travelling between outer areas. For example, going from Toa Payoh Station to Marymount Station on MRT (or bus) would cost $0.87 and require 30 to 40 minutes travelling across 4 stations with 1 transfer. In contrast, riding a bike between the two stations would only cost S$0.5 and take about 15 minutes on a bike since you would be able to travel on a more direct route. Whether you are trying to save up to pay for your next vacation or to pay down your personal loans, utilising these bike sharing services could be a healthy method for both your wallet and your body. A reasonable way of maximising your saving would be to walk distances that are less than 2km, to bike distances that are between 3km and 8km and to ride on public transportations for longer trips. Afterall, it might be too hot in Singapore to bike any longer than that. Besides changing how you get around in Singapore, there are other ways you can save further on your transportation cost. For instance, OCBC Titanium Rewards Card and DBS Live Fresh Card provide rich rewards on mobile payments, effectively reducing the total amount you end up spending on apps like ofo or Mobike. For those who still want to stick to MRTs, Citi SMRT Platinum Visa Card is a great EZ-Link credit card that provides 2% rebates on EZ-Reload Auto-Top Ups. 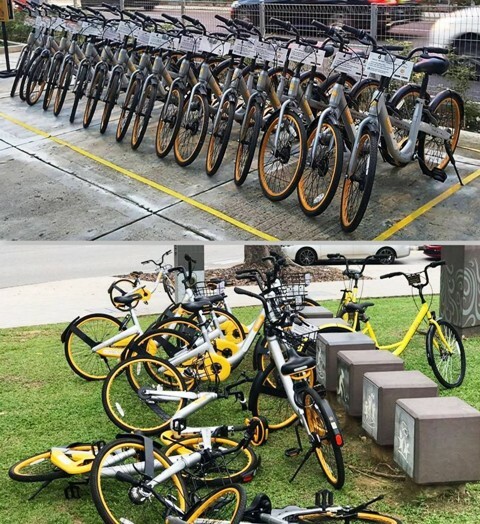 The article Can Bike Sharing Services in Singapore Really Help You Save Money? originally appeared on ValuePenguin.